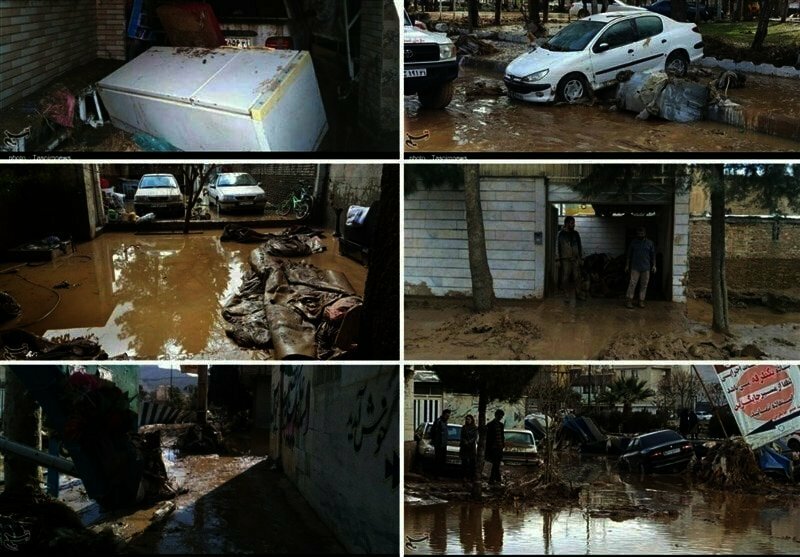 More than 20 days after floods ravaged 27 provinces of Iran’s 31 provinces, officials of the Islamic Republic of Iran have still not announced the scope of damages in various provinces. Though the full extent of the damages is not yet clear, we have tried to gather reports from various news agencies and websites which indicate that Iran is facing a national disaster; a disaster that will have consequences for many years to come as a result of the regime’s incompetence. More than 400 bridges have been washed away while 5,000 bridges have been damaged. 12,000 kilometers of roads have been damaged in Iran. According to Iran’s Minister of Roads and Urban Development all these roads were built in water routes. One of the reasons behind the extent of damages is years of construction in water routes and dried out rivers. It seems as though construction is carried out without planning and without the implementation of basic construction regulations. Iran has announced that thus far, the total damage to its road infrastructure has been estimated at 2 trillion tomans. The Ministry of Agriculture announced that until March 31, the damage to the agriculture of 12 provinces was more than 3,000 trillion tomans. 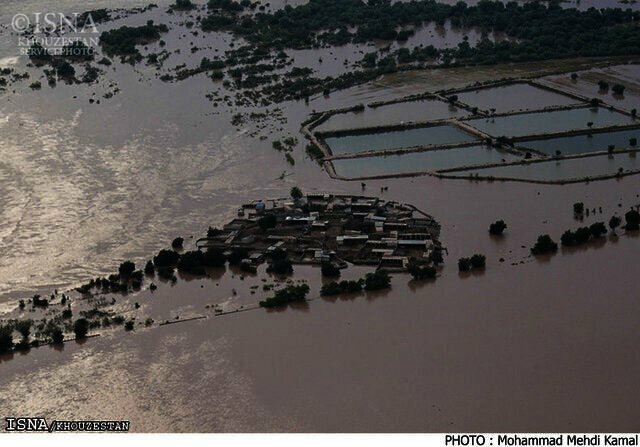 According to Iran’s Veterinary Organization, the floods have inflicted around 67 trillion tomans in damages to livestock, poultry and aquatic animals. “Meanwhile, 700,000 broiler chickens, 2,000 livestock and 17 heavy livestock also died,” Alireza Rafieipour, the head of the organization added. 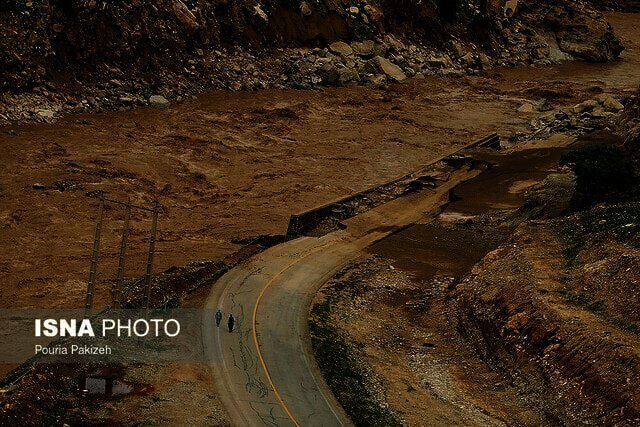 In the western province of Ilam, 27 bridges have been washed away and 750 have been damaged. 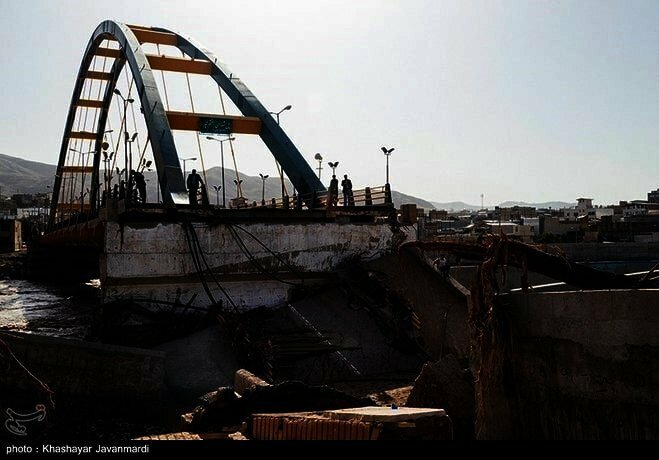 In the northeastern province of Northern Khorasan, more than 970 bridges have been damaged. 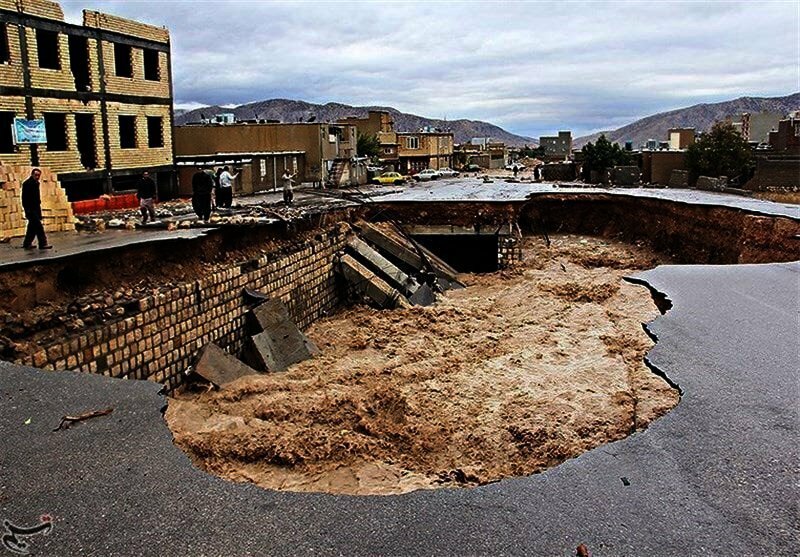 According to the Governorate of Northern Khorasan, the floods inflicted around 400 trillion toman of damages to the province’s infrastructure, homes and agriculture. According to the head of the Agricultural and Natural Resources Association in the southwestern county of Dasht-e Azadegan in Khuzestan Province, there is nothing left of agricultural lands. “We did not even see this much confusion and tragedy during the (Iran-Iraq) war,” he added. 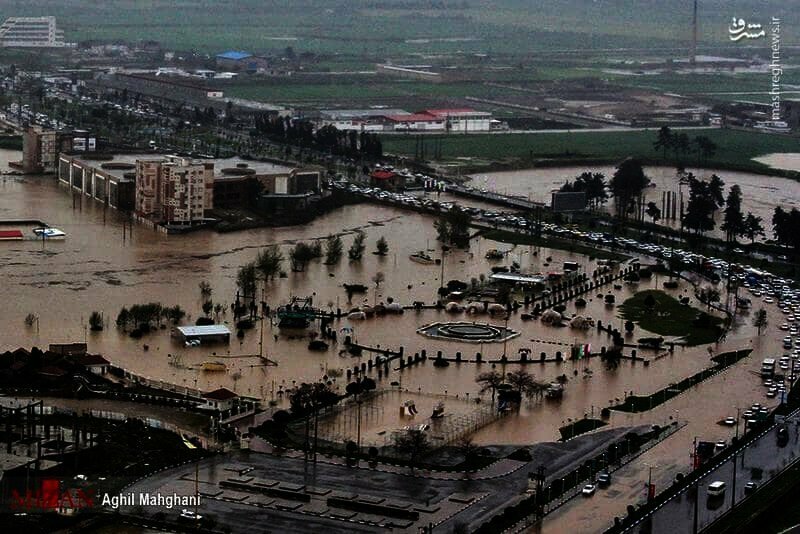 According to the Veterinary Organization in the northern province of Mazandaran, 76,000 mother chickens, 87,000 broiler chickens, 8,000 native chickens, 25 heavy livestock, 540 livestock and 2,000 bee colonies died in the floods. The Minister of Agriculture said that the damage to agriculture only in Mazandaran Province, was more than 500 trillion tomans. “Damage to agricultural in Mazandaran includes 107 billion tomans in the agriculture sector, 266 billion tomans in the gardening sector, 67 billion tomans in terms of livestock, poultry and aquaculture, and 115 billion tomans in terms of water, soil, and infrastructure,” Mahmoud Hojati added. 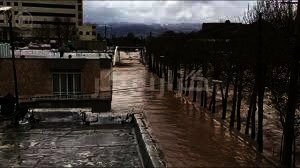 According to the Minister of Roads and Urban Planning, the initial assessment of damages in the northern province of Mazandaran and Golestan was 350 trillion tomans. 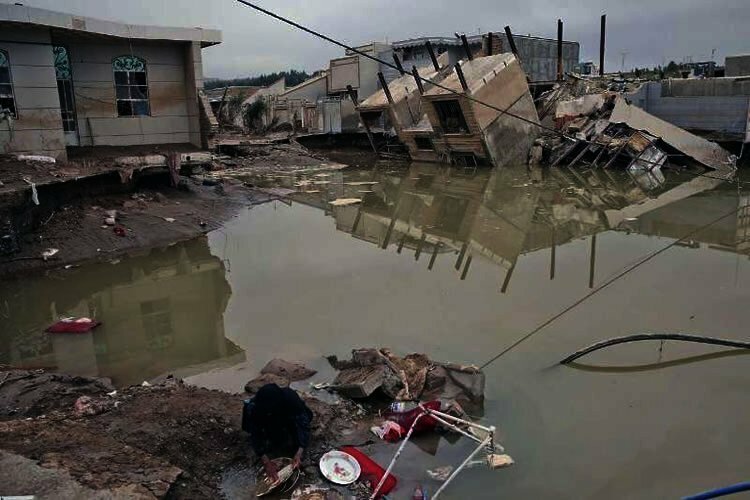 Initial assessments show that the damages inflicted as a result of flood water in Golestan’s industrial towns especially in Aqqala, which sustained the most damage, is more than 160 trillion tomans. Aqqala, which is around 167 hectares, had around 157 active stores and business. The recent floods inflicted heavy damages to these businesses which leaves the more than 2,000 store employees without jobs. 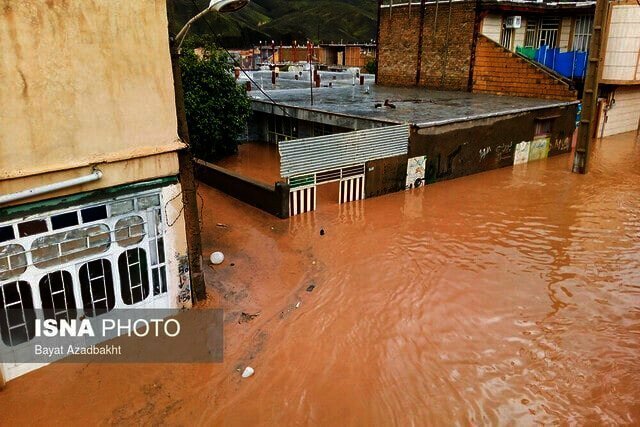 The Rural Water and Sewage Company of Golestan announced that the initial assessment of damages to the province’s water supply facilities were more than 26 trillion tomans. The Deputy Minister of Minister of Roads and Urban Development said that their initial assessment of damages to roads and technical infrastructure in the northern province of Golestan was more than 100 trillion tomans. 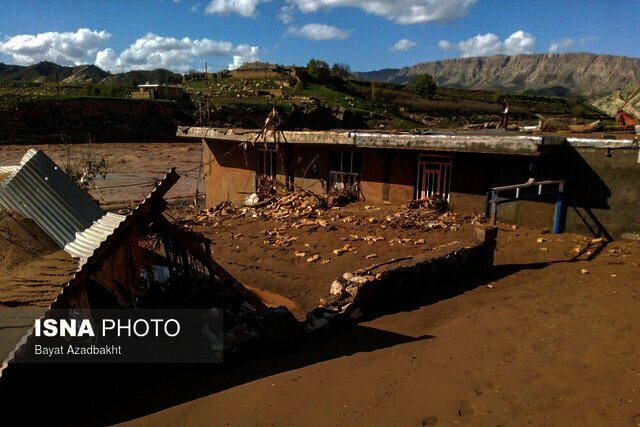 According to an MP from the town of Aligoudarz in the western province of Lorestan, 80% of rural infrastructure was destroyed in the floods. The governorate of another town in Lorestan, said that Selseleh had sustained more than 300 trillion tomans of damage according to initial assessments. This is while he said that communications were cut off from more than 30 villages which means the scope of damage is much heavier. A representative of Mamulan, another town hit heavily by the floods said that 500 homes in the town were either completely destroyed or 50% destroyed. According to the head of the Borujerd Education Organization, the floods damaged more than 121 schools in the city and villages. Mohammad Mehrafzoun added that the damages were around 3.5 trillion tomans. 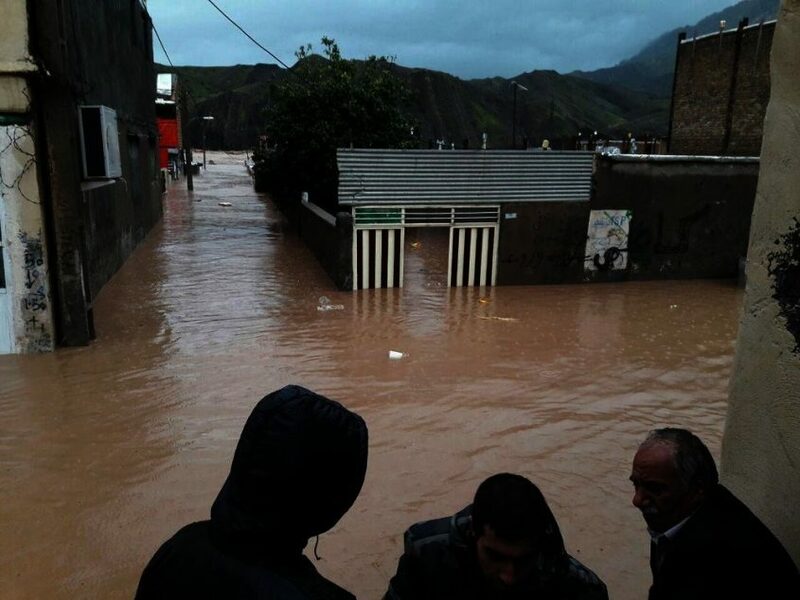 According to the Tabnak state-run website, 17 rural and urban bridges, and more than 5,000 homes, schools and other buildings were either flooded or destroyed in the town of Poldokhtar.